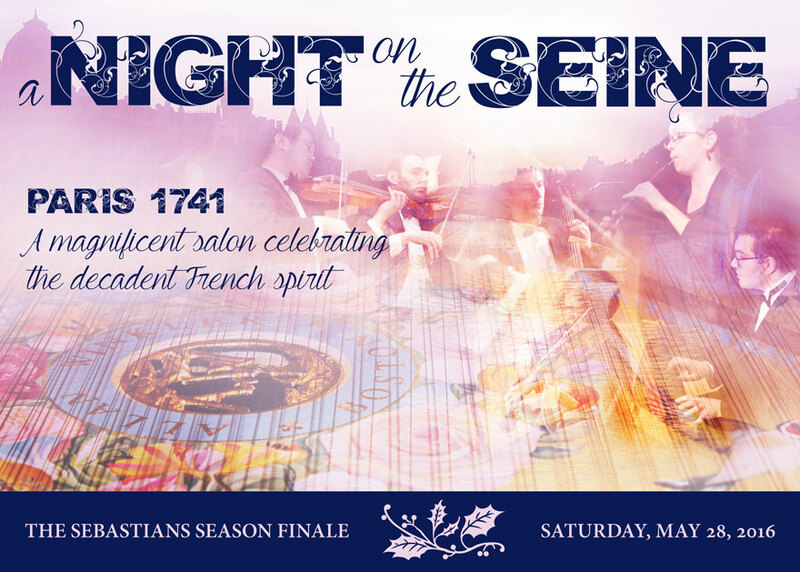 The Sebastians cordially invite you to our season finale concert celebration—the music and pleasures of a Parisian salon in 1741. Get your seats early! In this exclusive recital, Jeffrey Grossman will début a new French harpsichord hand-crafted by master builder Allan Winkler, modeled after a 1765 instrument by François-Étienne Blanchet II. This new clavecin is voiced entirely in bird quill and boasts an exquisite soundboard painting by celebrated botanical artist Maria Bablyak. Paris, 1741: Selections from Couperin’s Les Nations alongside music by Lully, Rebel, Telemann, and a special concerto by J. S. Bach will take your breath away in this grand season finale. Join us after the concert for a party with the musicians of the Sebastians. Let’s raise a glass in celebration of the 2015–16 season—we’ll also share exciting details about next year. Note: All Angels’ Church unfortunately does not have an elevator and is therefore only accessible by stairs. Please contact music@sebastians.org for more details or for a list of handicapped-accessible events.